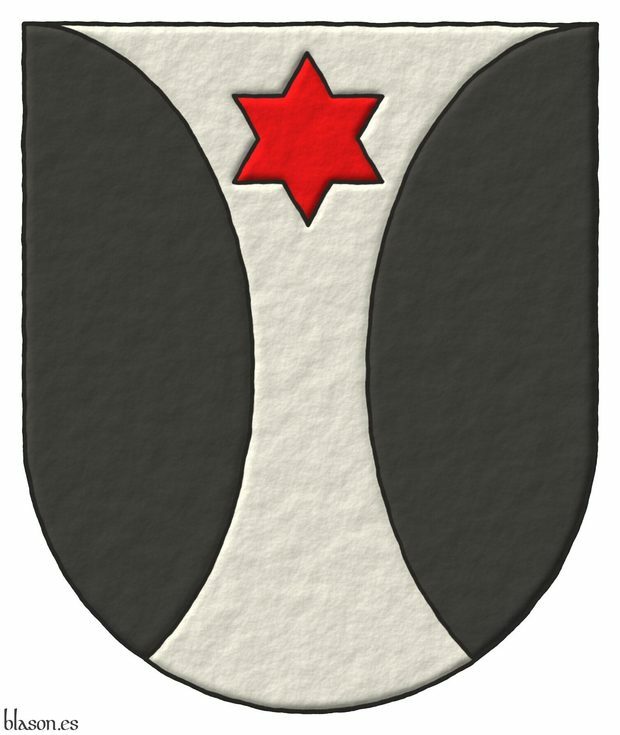 Argent, flanched in round Sable, Argent charged in chief of a mullet Gules. «Oschoven au Rhein» in the book [Menestrier, C. F.; 1659; page 315] is blazoned «d'argent flanqué arrondi de sable à vne molette de mesme en chef», so the mullet would be Sable, bacause «de mesme» is written. 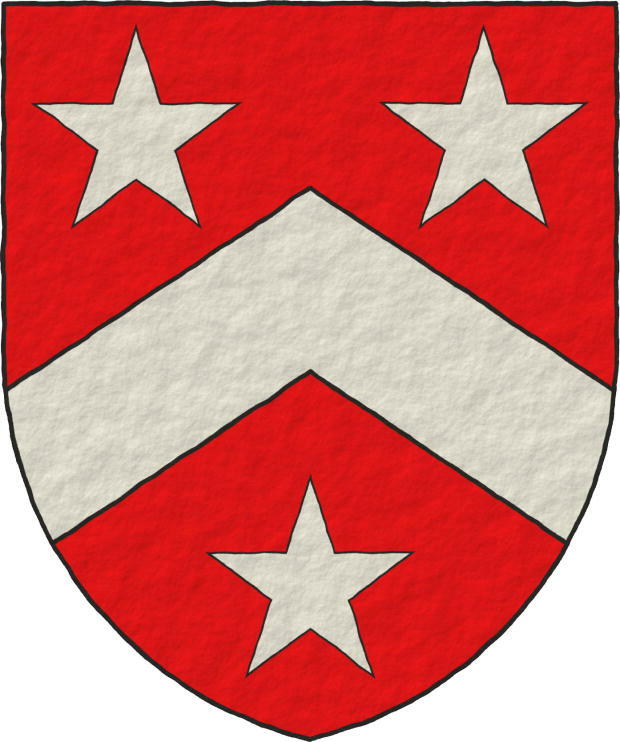 Blazon keywords: Argent, Sable, Gules, Mullet, Chief, Flanched and Arched. Bearer: Oschoven of the Rhin. Adam de Creeting ~ Adam de Cretingges. 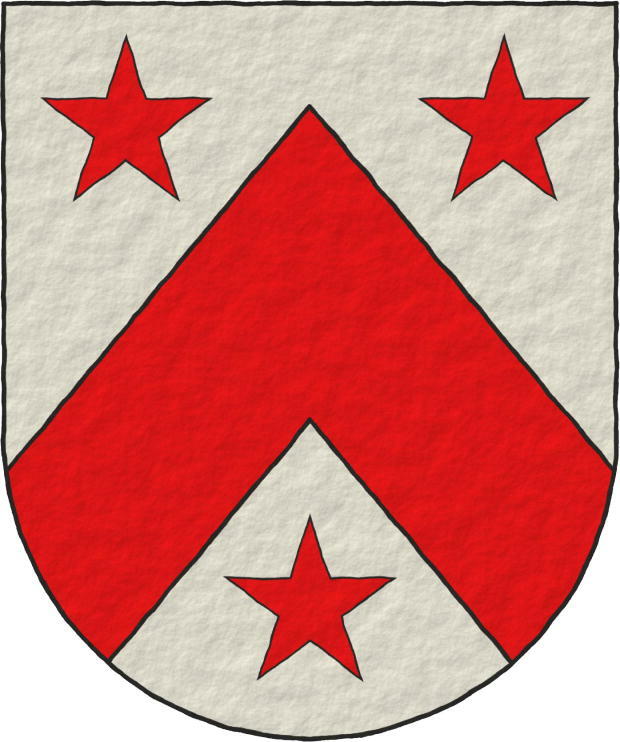 Blazon keywords: Without divisions, Argent, One, Chevron, Gules, Between, Three, Mullet and Ordered. Howel Ap Rhys ~ Howel ap Res. 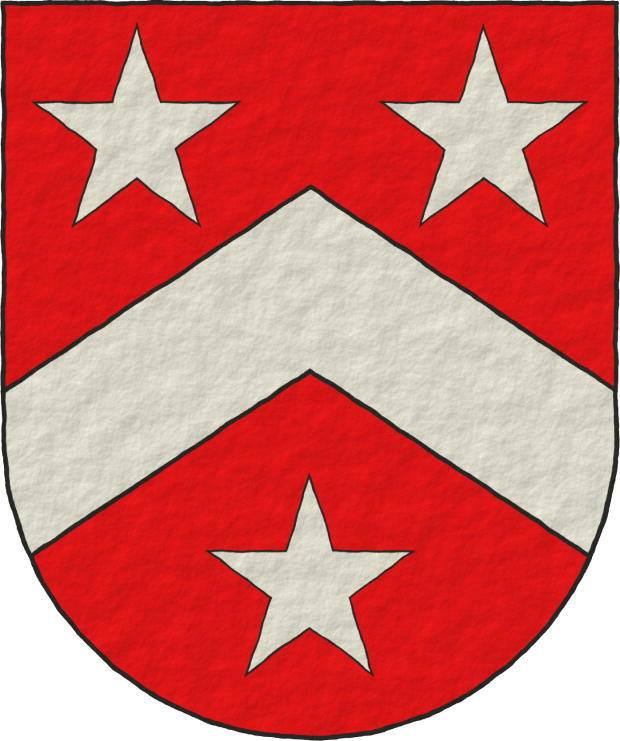 Gules, a Chevron Argent between three Mullets Argent. Escudo de gules, un cabrio de plata, acompañado de tres estrellas de plata, dos y una. 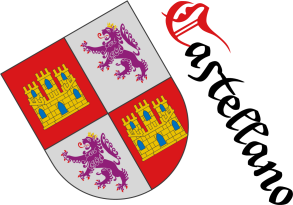 Blazon keywords: Without divisions, Gules, One, Chevron, Argent, Between, Three, Mullet and Ordered. Blazon equivalent to: Juan le Sturmy. Juan le Sturmy ~ Joan le Strumi ~ John le Sturmy. Included in [Vincent, MS; 1285; number 664] also known as [St. George's Roll; 1285; number 664]. Style keywords: Pointed, Spot ink, Outlined in sable and Freehand. Blazon equivalent to: Howel Ap Rhys. The starship of this video is based on the «Narcissus», the lifeboat of the «Nostromo», designed by Ron Cobb for the film «Alien». The music is «Also sprach Zarathustra», Opus 30, from Richard Strauss, interpreted by Kevin MacLeod. Credits: Kevin MacLeod is the author of the music and Ron Cobb is the designer of the original starship. Blazon keywords: Quarterly, Sable, Or, One, Letter, Two, Wolf, Pasant, In pale, Number, Unicorn, Mullet and Compass rose. Style keywords: Semi-circular and Freehand. Classification: Video, Map, Created and Personal. Between, Adan de Creeting, Pointed, Chevron, Created, Quarterly, Arched, Outlined in sable, Two, In pale, Mullet, Flanched, Personal, Gules, Howel Ap Rhys, Illuminated, Interpreted, Chief, Juan le Sturmy, Letter, Wolf, Map, Semi-circular, Number, Ordered, Or, Oschoven of the Rhin, Pasant, Argent, Without divisions, Compass rose, Sable, Salmerón Cabañas, Antonio, Spot ink, Freehand, Three, Unicorn, One and Video.